Our Open Trial will be the Top Naas Two Day Fun Trial, which will include the Howard Wallace Masters Shield. We have moved this to much earlier in the year at June 1st and 2nd. This is in an effort to avoid the end of season congestion that has dampened numbers at our three previous attempts. Mandy and Kelvin Curtis, the wonderful landholders at Top Naas, are fully supportive of this move and are quick to assure anyone who is concerned with the temperature in June, that there will be plenty of open fires to keep you warm. This is just an early heads up to potential entries. This is the weekend before the June long weekend and we’re hoping to attract those of you who may be Observing, or Officialing, at the various State Titles held on the June long weekend. 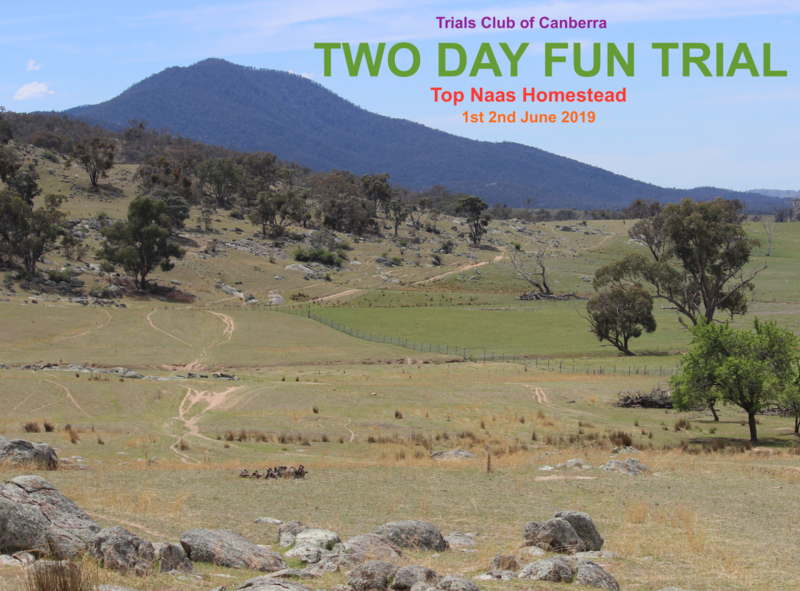 Top Naas Homestead terrain at is superb trials country. There are sections that can challenge anyone, however how hard the sections are is completely up to the individual. The sections are set around a 12km figure eight loop. Riding between the sections is just as much fun as the sections themselves. Just ask anyone who’s ridden at any of the three previous years.